Happy Friday everybody! When I write a post, I like my inspiration to be "fresh," if you will. As in, I contemplate what is on my mind that very morning, and then sometime during the day I write about THAT. It's all very stream of consciousness. :) And so this morning as I struggled to pump gas into my car with snow blowing into my face, I had to use a pump on the opposite side from my fuel tank, and so a little bit of swear language and hose manipulation was involved, and, wait! I don't even care about this anecdote, so why should you?! :0 Anyway, I kept thinking about how excited I am for 2015. There are so many things happening this year that I am so grateful for and anticipating with much eagerness. What are those things? Settle in, dear reader! They're getting big. :) Henry will be 10 in November, a milestone to be sure, and Anne will be 4 in May. I remember 4 being a truly magical age with Henry in which things got a heck of a lot easier. To be honest, they've been easier with Anne already (I've probably just jinxed myself, doh!) and I think it's simply a male/female thing. Girls mature a bit faster than boys. I do so enjoy the squishy baby years, but can I be totally up front? Well, sure, because this is my blog, right? :) I enjoy my kids even more when they are older. I struggled with depression when Henry was a baby and toddler. With Anne I was on the lookout for that, so it was definitely less bad, but it was still there. My kids get older and BAM! No depression. :) So this year feels good, really good. Together with my precious hubby, I'm enjoying my kids (when they're not fighting *groans*) and all feels right with the world. Since the Conclave that elected Pope Francis, I've been much more involved in Catholic social media. Mostly Twitter, but other things as well. And, gosh. It is WONDERFUL. I feel a part of a larger community and it is very meaningful to me. These are people I've never met in real life, but yet I feel like I know them. I'm encouraged by them, and I encourage them if they're having a bad day. I find all sort of great ideas and inspiration from them. I knit things for their kids. They are like my extended family in faith, and I think God for them everyday. -3- My future with this blog here with YOU! I've been blogging since 2008, but for many years...let's just say not too many people read it. :0 That was fine, that has never been why I keep a blog. Once again, being totally honest here, the reason I blog is for ME. I love to write, it's a creative outlet for me, and that's the reason I continue. If that wasn't the reason, it wouldn't be genuine, you know? However, I would certainly be less inspired if no one read my musings. For years after I started, I was getting hits on my posts, sure, but very few. It's humbling to go back and look at those numbers. :) Now, I get a lot more readers. Granted "a lot" is a very relative description. ;-) This blog isn't exactly in the big time, if you know what I mean. And I doubt that it ever will, which is fine with me. I just enjoy my tiny sliver of the Catholic blogosphere, and the fact that I feel like I know some of you who leave comments fairly regularly, that's just... *tears up! * It's wonderful, and it means so much to me. I can't wait to continue sharing my life with you, and finding new and creative ways to do what I love. And THANK YOU, from the bottom of my heart, for being here. -4- Catholic New Media Conference/Celebration - Who's with me?! Back in October of 2013, I wrote about my experiences at the first CNMC that I had ever attended, and I've been a part of the SQPN podcast community for many years, nearly since I started blogging. But I had always backed away from ever leaving feedback for the many shows I listened to or attending the CNMC because, you know, SCARY. Then people I admire will know I exist and may think I'm stupid. :0 But when my sister Shauna'h said that she was going, that gave me the impetus to come out of hiding, and now I'm hooked. It is *fantastic* to meet other enthusiastic Catholics in real life and develop friendships that can then thrive in social media. It's a tremendous boost to my faith and truly, to my happiness. SO. The CNMC 2015 is going to be held June 7th in Atlanta, GA.
WHO ELSE IS GOING?! :0 If you are, I demand (nicely, of course ;-)) that you leave a comment so that we can start plotting fun meet ups. I'm almost certainly going. Registration isn't open yet, but my pre-planning seems to have borne fruit and I can register and make a flight reservation when the time comes. I AM SO EXCITED. I can't wait! Have I mentioned that I'm excited? Are you going?! Let me know! 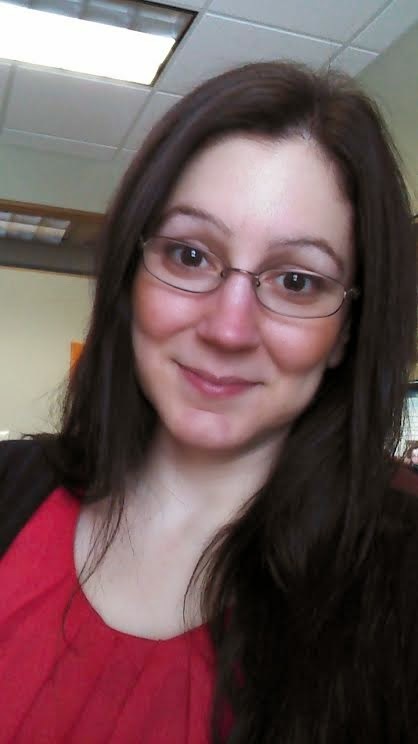 But speaking of getting older, I got my new glasses! "Good heavens, they dance in PUBLIC? Glad that'll never be me." Middle Eastern dance has given me inspiration and confidence, and a wonderful circle of friends, and so, so much more. I love it. We have a hafla on May 2nd, and more festival fun this summer, and at 40 years old? Pshaw! That's infancy for a belly dancer. :0 My best years are still ahead! Have I mentioned how much I love it? This was a fun post to write! 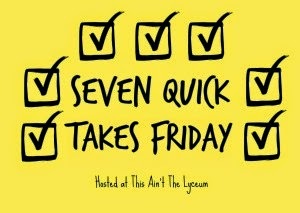 And there are more 7 Quick Takes over at This Ain't the Lyceum, go ahead and see. :) Talk to you all on Monday! I'm really hoping to make it to the CNMC in June. I've been wanting to attend Atlanta's Eucharistic Congress anyway since I've heard a lot about it and our bishop used it to create the Eucharistic Congress we have in our diocese. Just trying to wait to see how much it'll cost and how my budget looks and those annoying adult decisions. I totally thought you were close to my age than 40! But I am not very good at guessing peoples ages and am always WAY OFF! WTG just embracing your age! YAY for finally meeting online friends! I'm hoping to finally meet a lot of online friends this year as well! So looking forward to seeing you, Fr. Darryl!